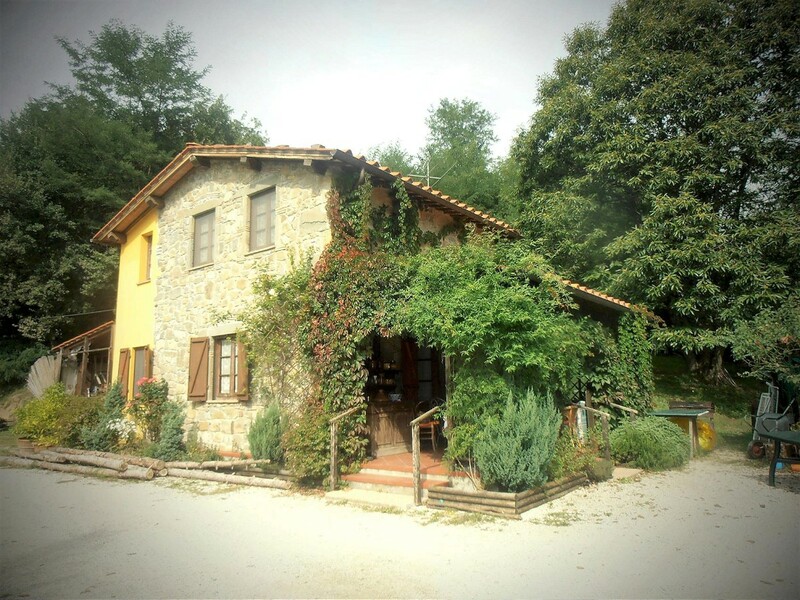 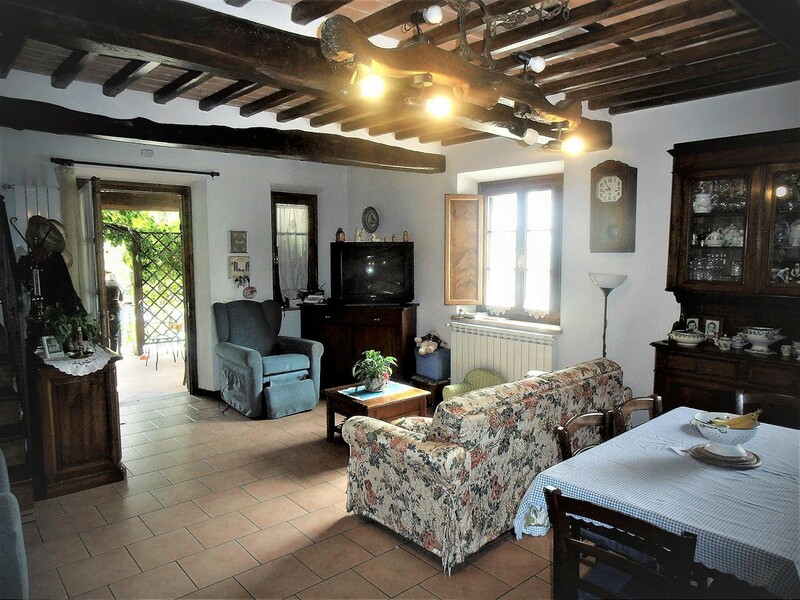 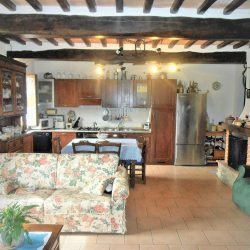 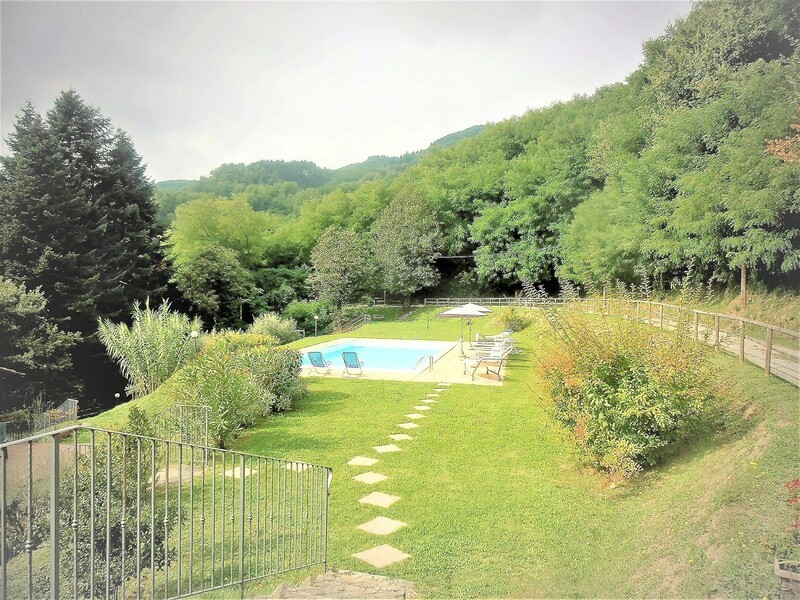 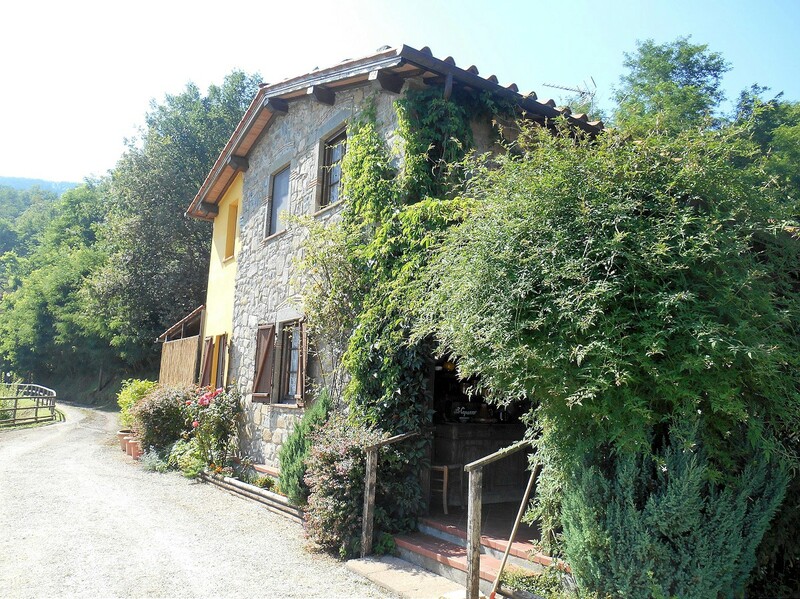 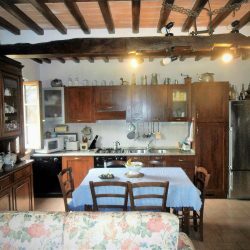 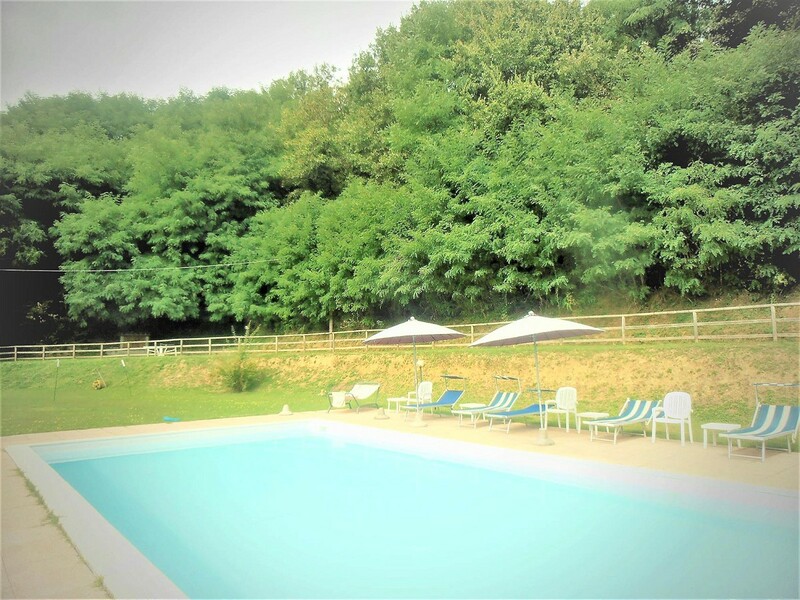 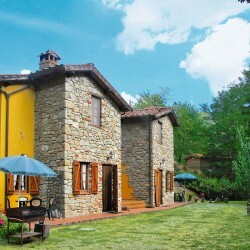 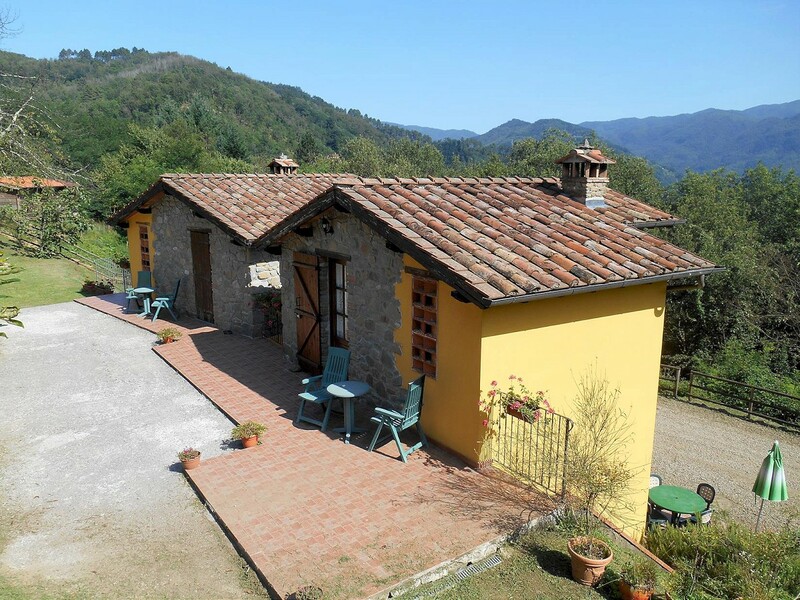 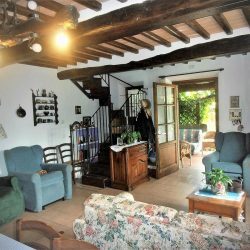 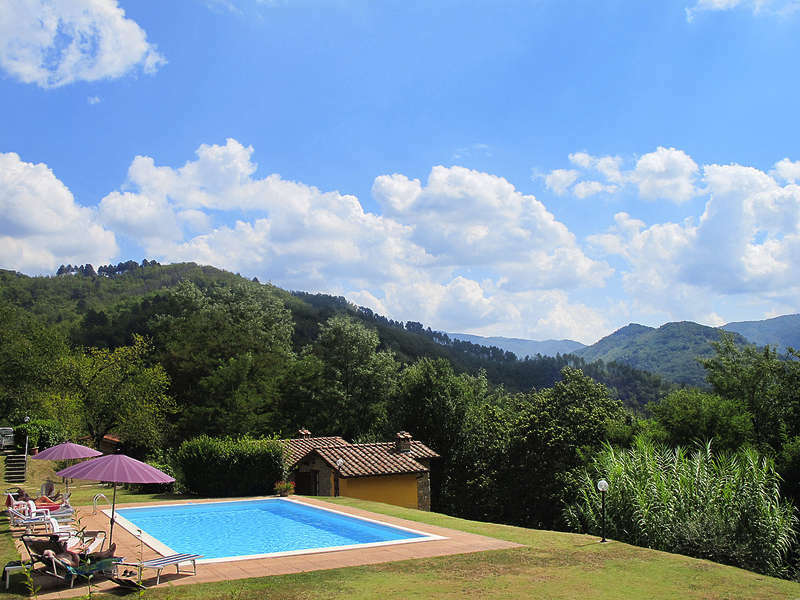 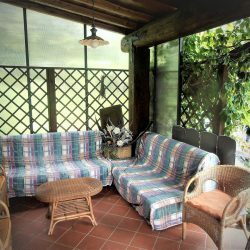 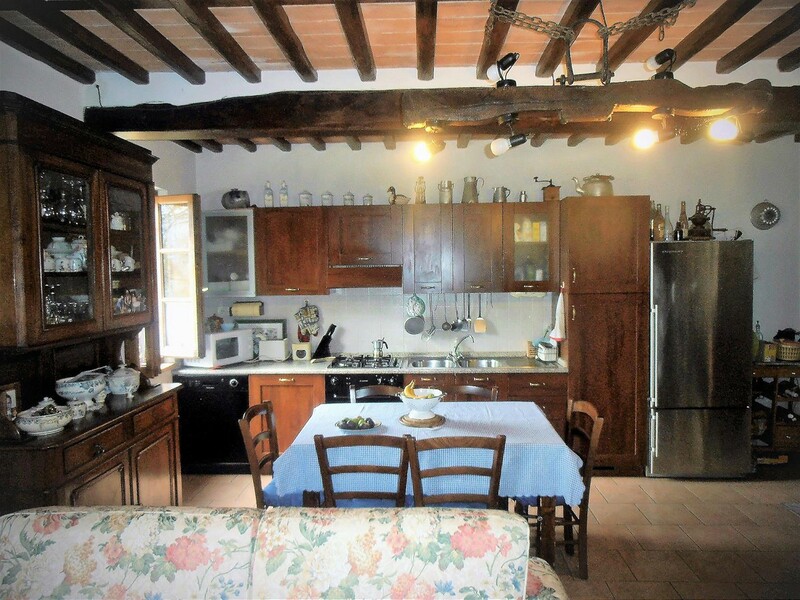 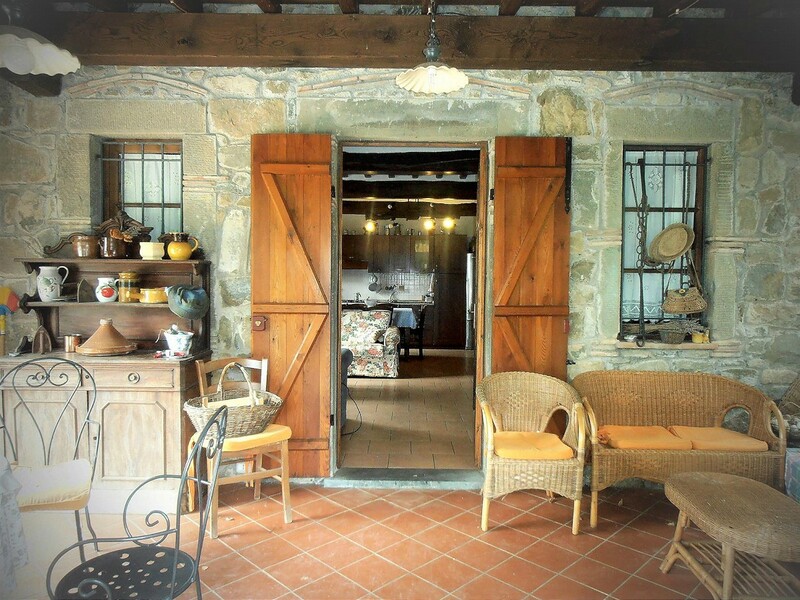 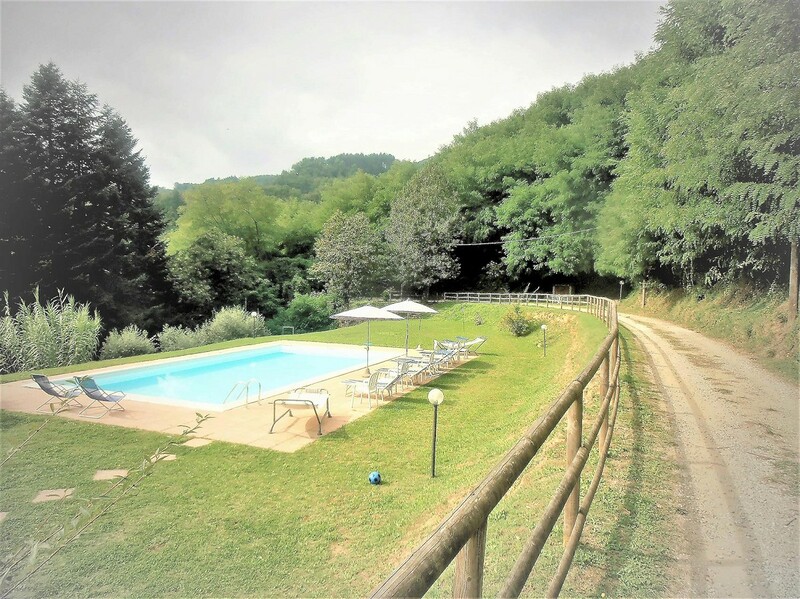 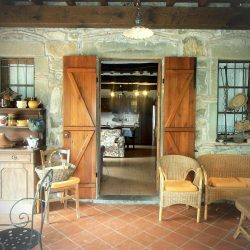 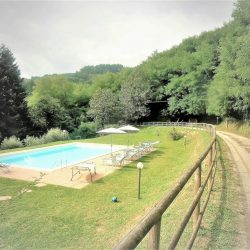 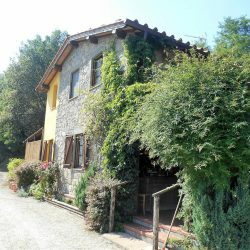 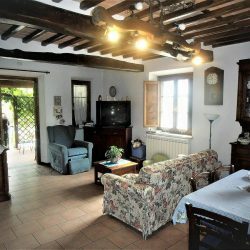 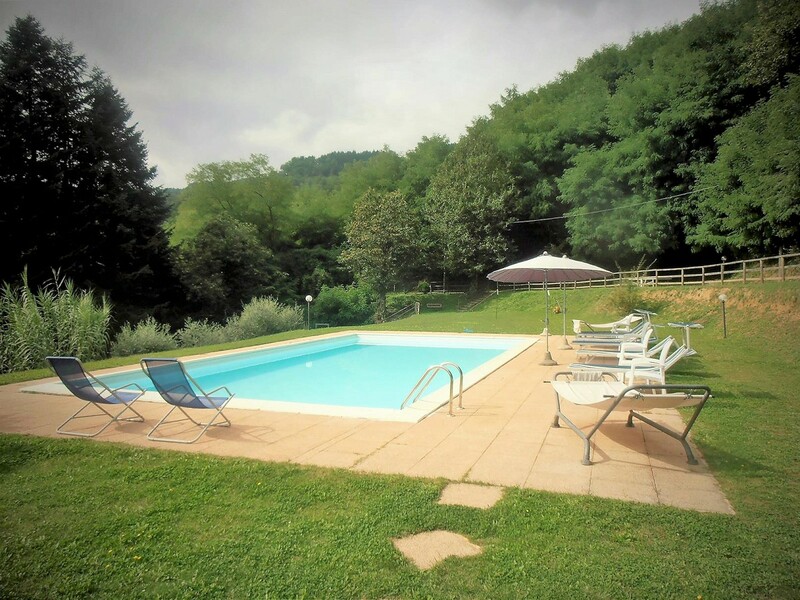 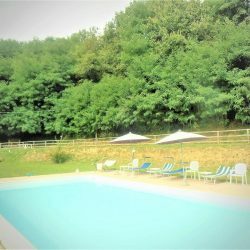 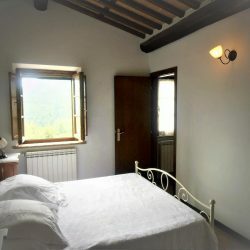 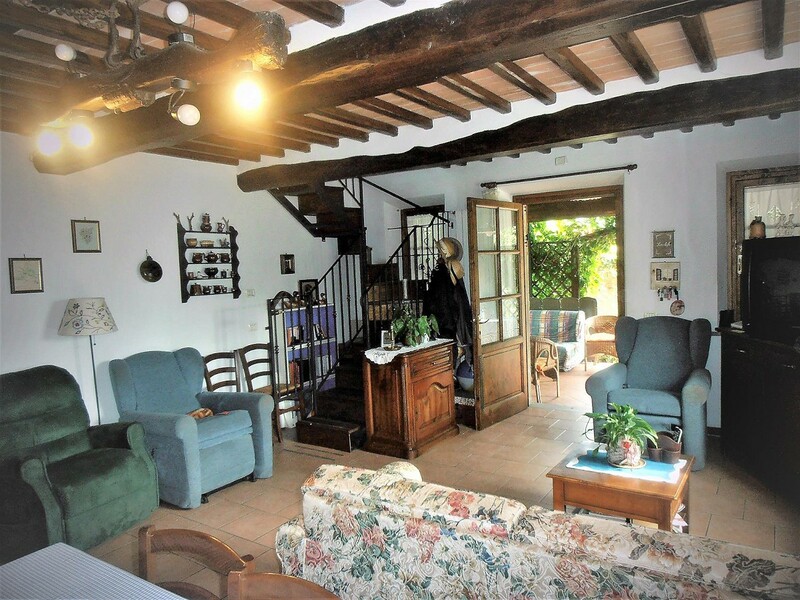 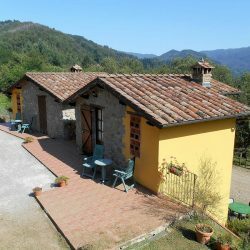 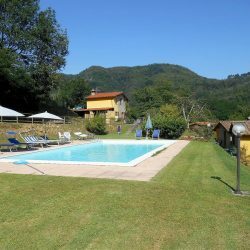 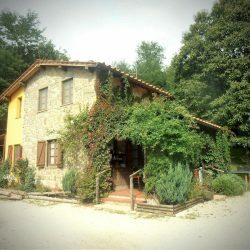 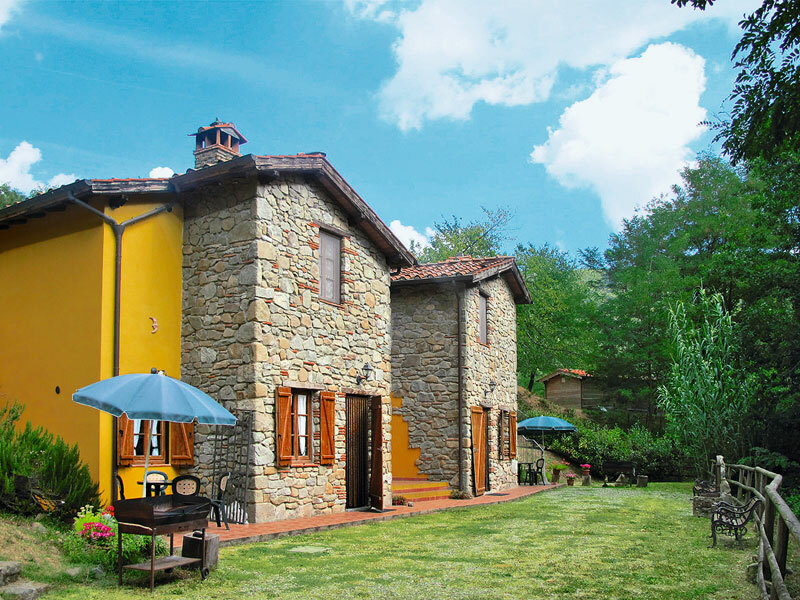 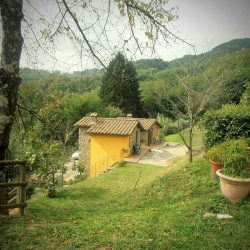 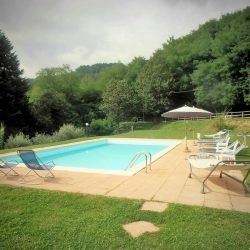 Restored farmhouse with 2 annexes and swimming pool in a lovely position on the hills of Bagni di Lucca, about 3km from the spa town. 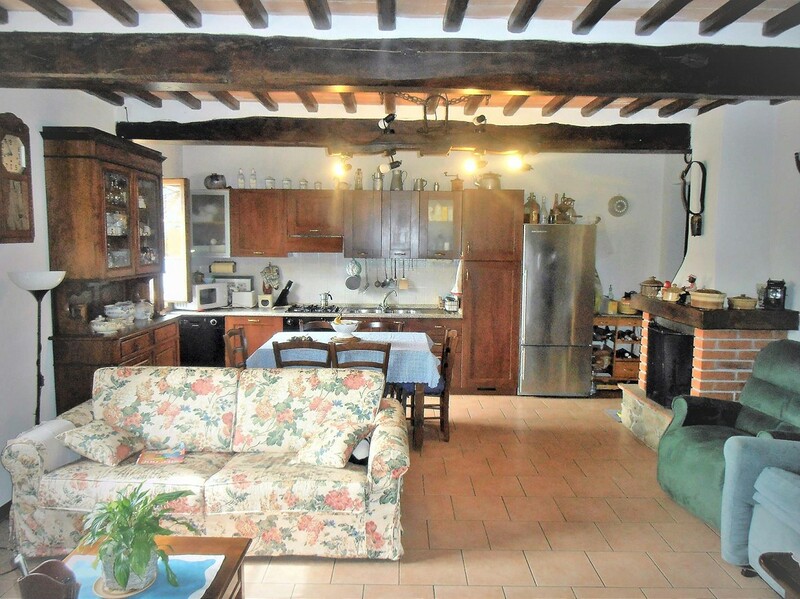 large living room with fireplace, kitchen. 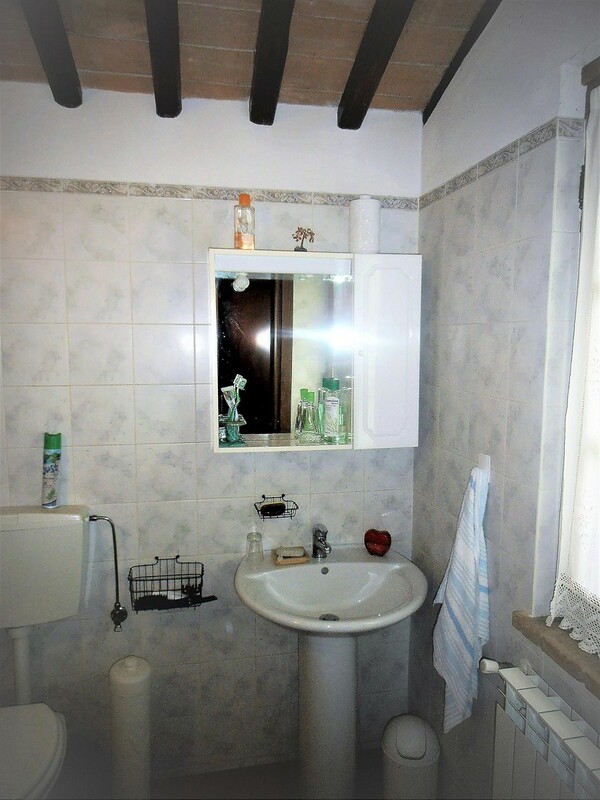 First floor: hallway, 2 bedrooms, bathroom. 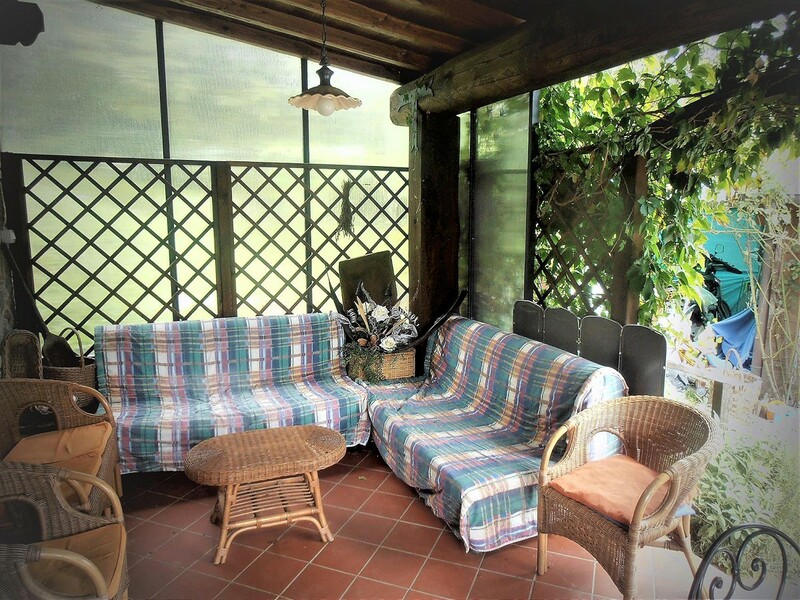 The ground floor has a large pergola used in summer for outdoor dining/living. 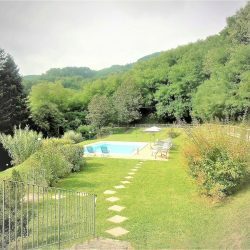 Large gardens with parking and some woods. 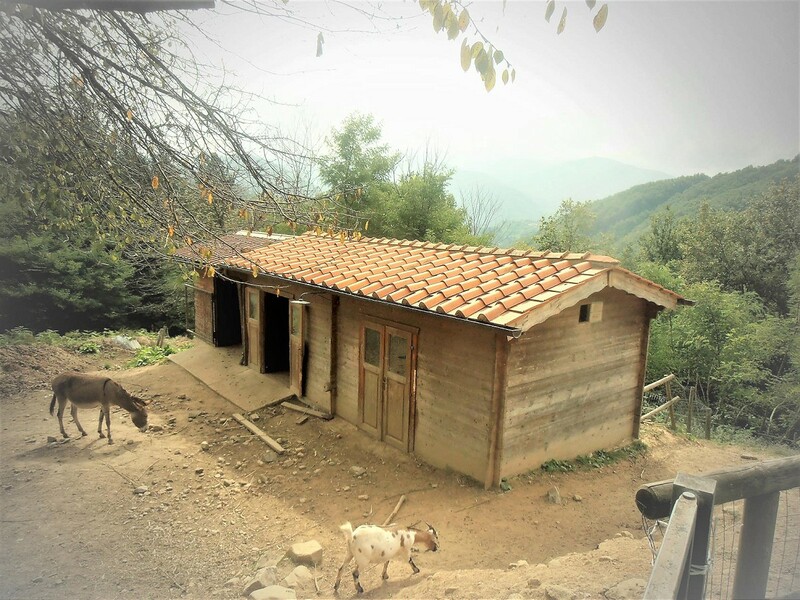 Annex is used for storage. 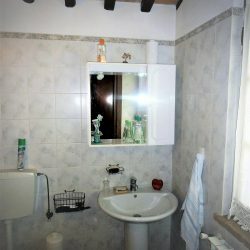 First floor: double bedroom, bathroom. 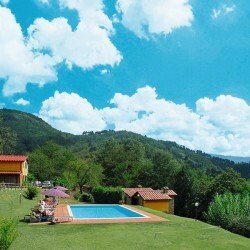 Large swimming pool with great views and lots of privacy. 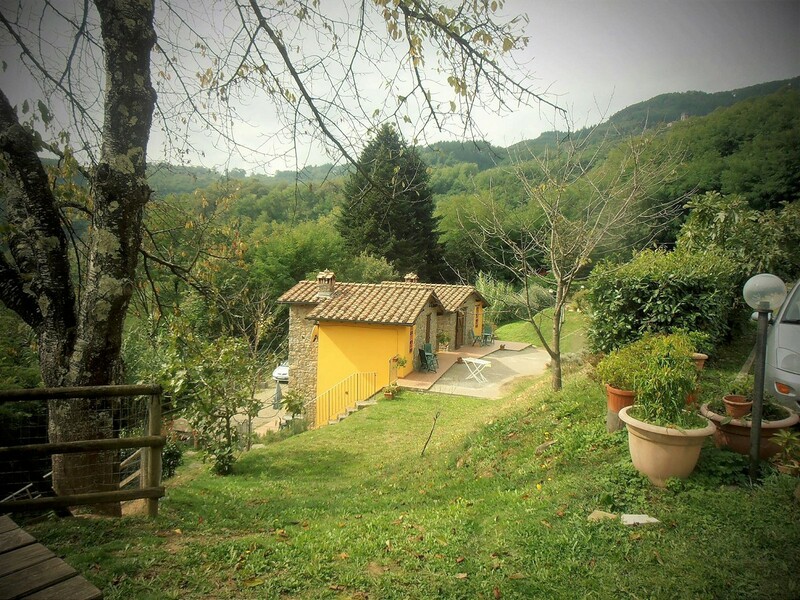 The land measures approx 5 hectares including 4 hectares of woods. 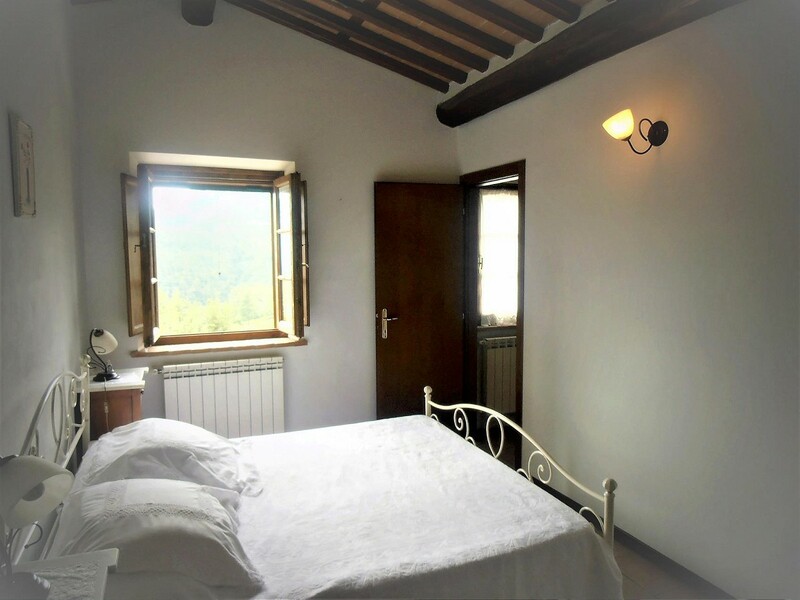 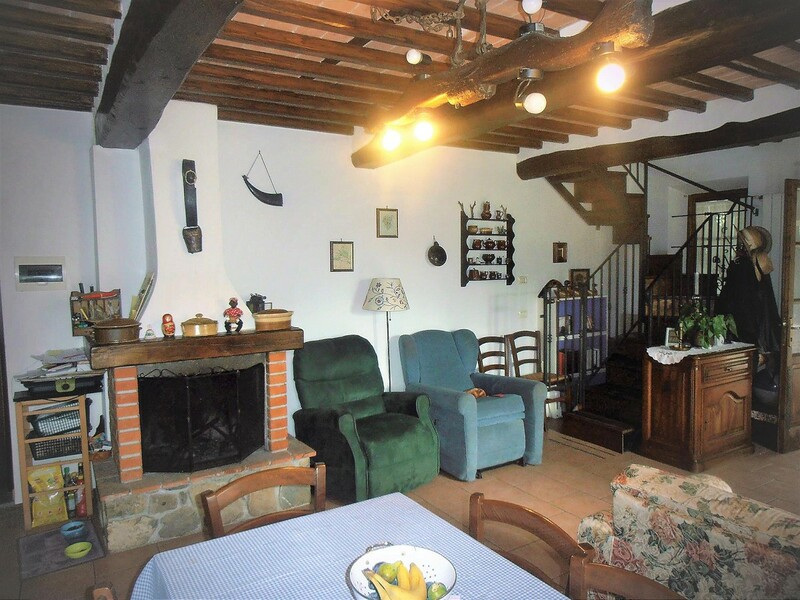 The 3 buildings have been well restored in typical style and have cotto floors, beam and cotto tile ceilings. 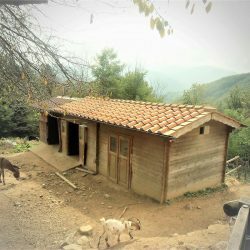 The last 400 metres of road to the property are untarmacked, and the last 200 metre part is a private road. 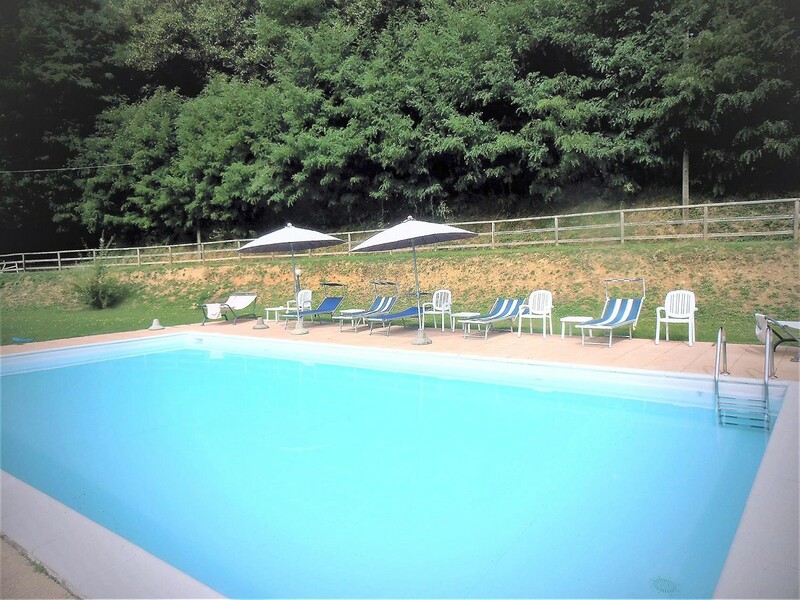 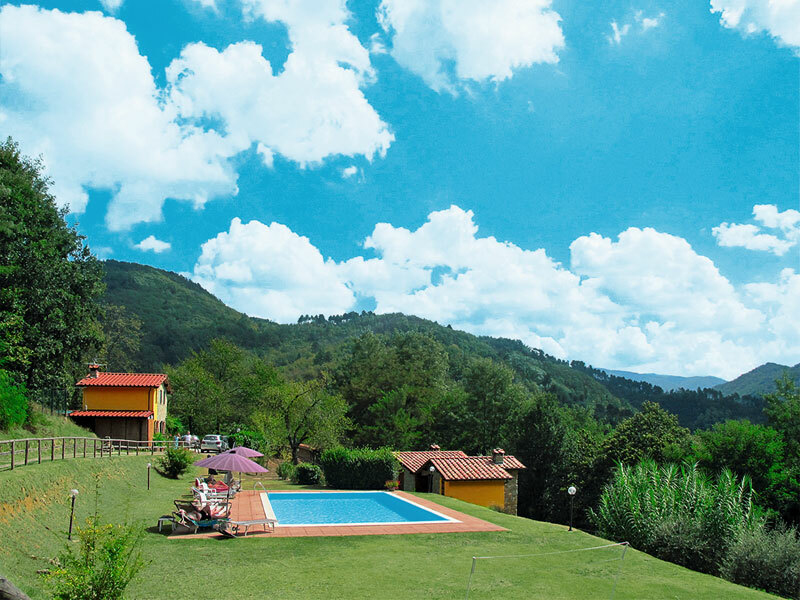 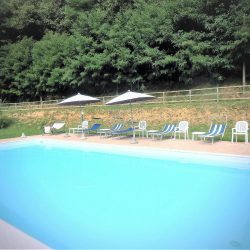 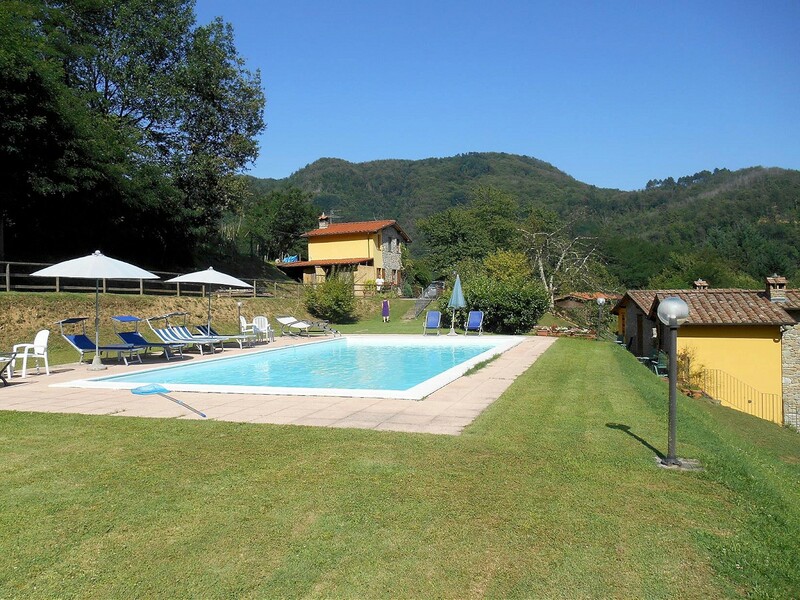 Bagni di Lucca with its many services is just 5 minutes by car. 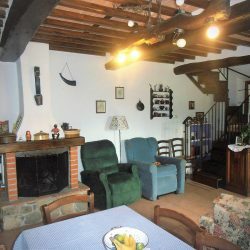 The property has been used for several years for rentals.